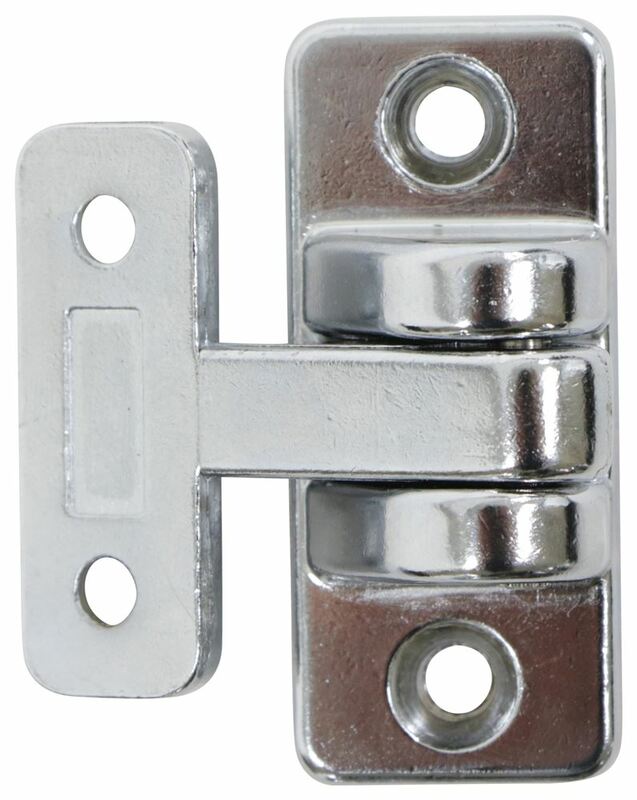 Hinge is ideal for use on large utility, recreational, or emergency vehicles. Sturdy steel construction with chrome-plated finish. Corrosion-resistant stainless steel pin. 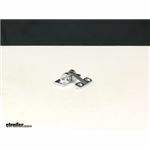 Call 800-298-8924 to order Polar Hardware enclosed trailer parts part number PLR101 or order online at etrailer.com. Free expert support on all Polar Hardware products. 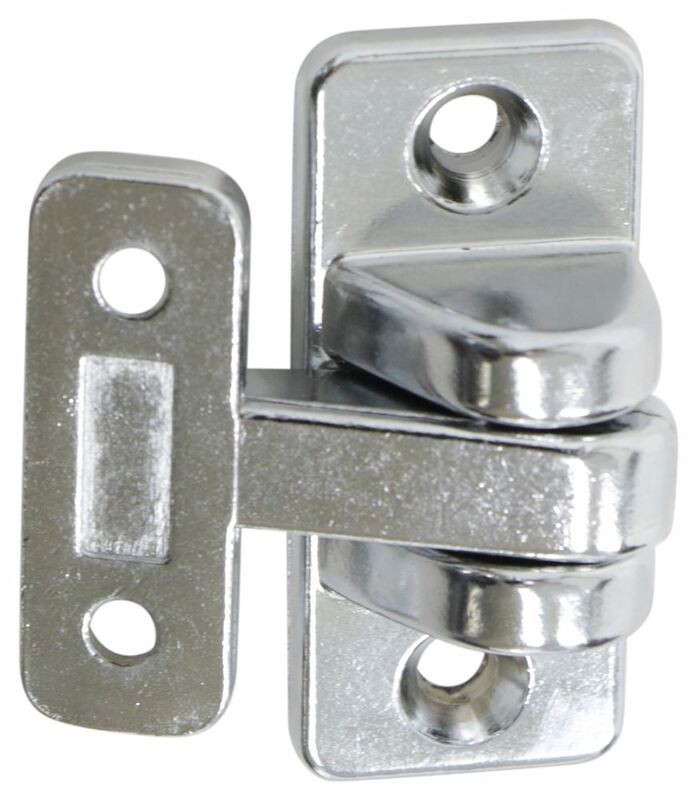 Guaranteed Lowest Price and Fastest Shipping for Utility Hinge - 2-3/8" Long x 2-3/8" Wide - Steel. Enclosed Trailer Parts reviews from real customers. Hinge is ideal for use on large utility, recreational, or emergency vehicles. Sturdy steel construction with chrome-plated finish. Corrosion-resistant stainless steel pin. Hinge lets your rear trailer door swing open 270 degrees. Non-removable pin provides extra security. 12-3/8" Long strap provides more contact area with the door to keep the door from sagging and dragging. Durable, zinc-plated steel construction. 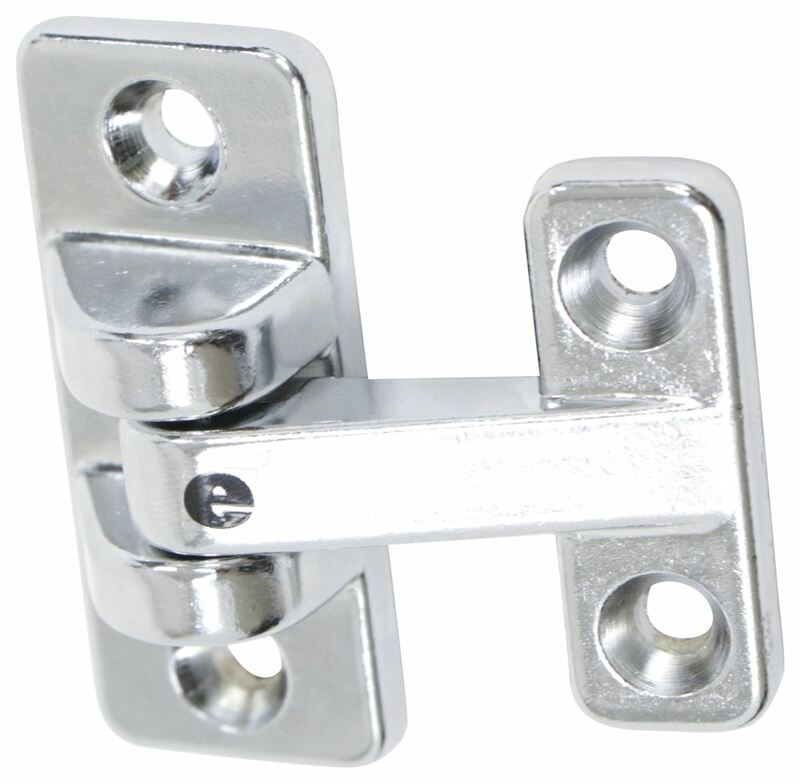 Stainless steel cam-action door latch is ideal for small enclosed cargo trailers. Can be installed flush on doors with a 3/4" offset. Positive double-action handle protects against in-transit jarring. 3/4" Pipe not included. 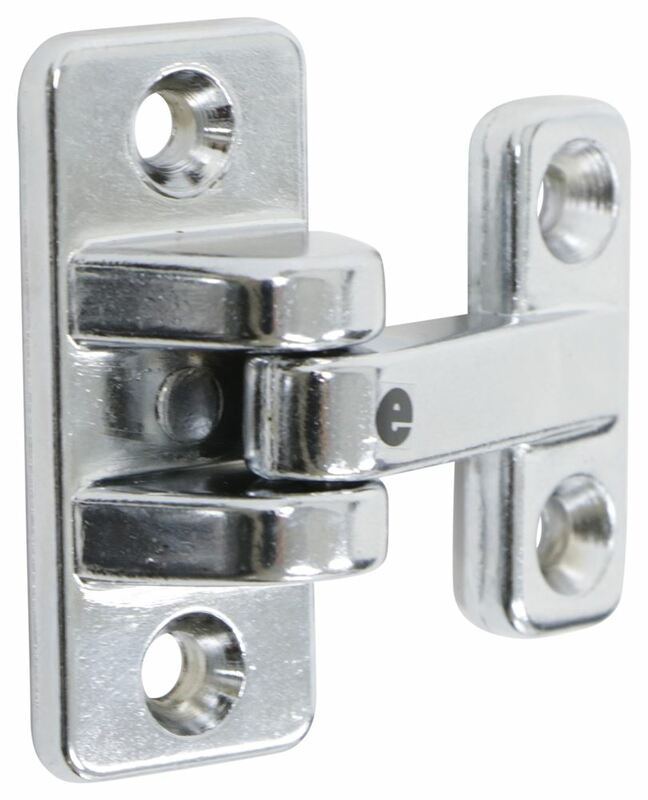 Square Corner Hinge with Reverse Bracket - Aluminum - 12"
Over the Seal Hinge - Narrow Bracket - Aluminum - 12"
Today we're gonna be taking a look at the Polar Hardware utility hinge. 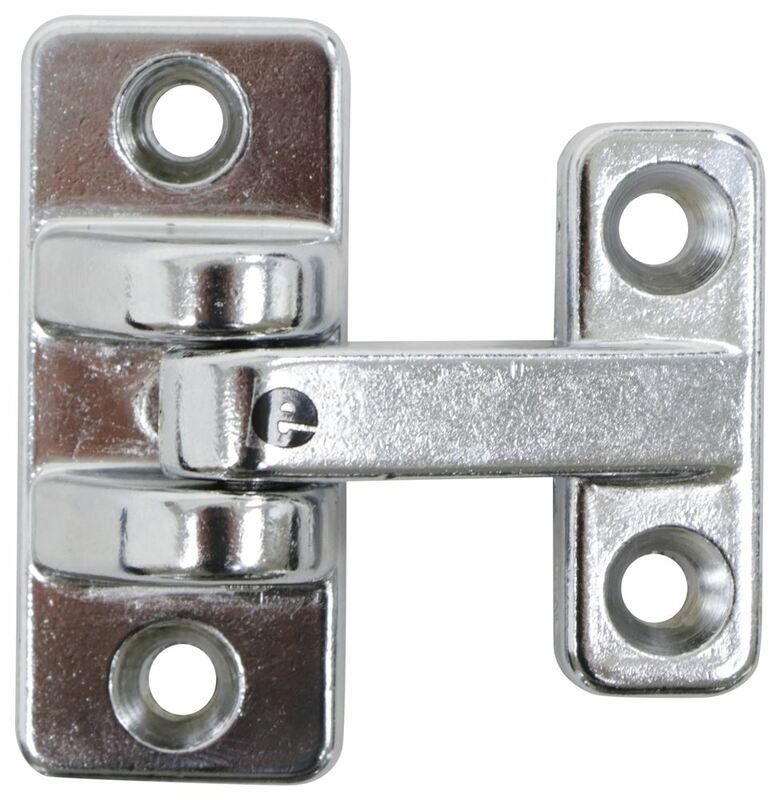 A utility hinge is ideal for use on large utility, recreational, or emergency vehicles. 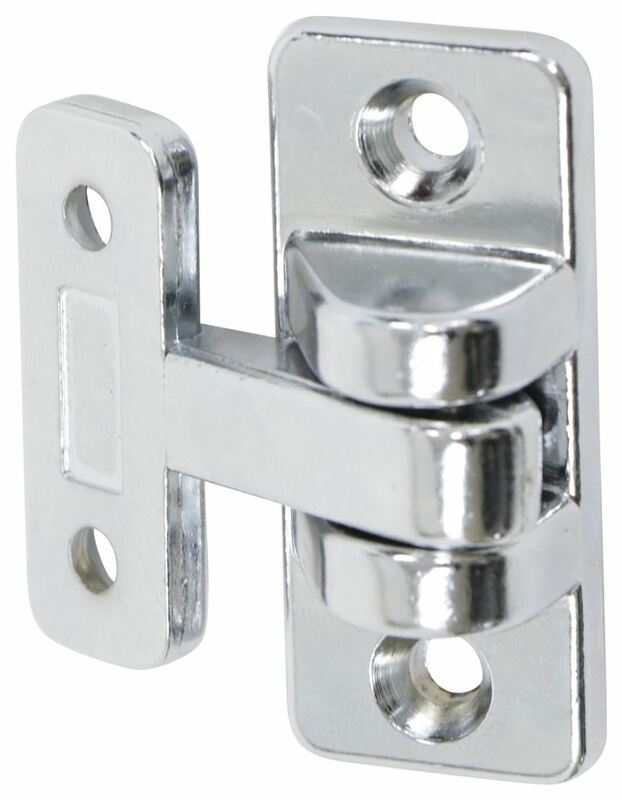 This particular hinge is made from a sturdy steel construction with a chrome-plated finish. The stainless steel pin that it uses, it's gonna be internal, that's gonna provide corrosion resistance so you don't have to worry about that binding or seizing up. That's always gonna have that nice, fluid motion. So that's a really nice design that they put a stainless steel pin through the unit. I do want to point out that each mount hole is beveled. That way your hardware that you use will lay flush. Mounting hardware is not included. The mount holes on this unit will accept 3/16" diameter hardware. When it comes to the overall dimensions, starting with the overall length of the unit, it's gonna give us a measurement of about 2-3/8" long. The overall height is going to be 2-3/8" tall. Then the thickness, that's from the mounting surface to the furthest out point, that's going to be about 13/16" thick. The dimensions of the leaf, which is the small portion right here, measuring this direction, that's gonna give us a measurement of about 1-3/4". Going this direction, that's going to give us a measurement of about 5/8". Then those mount holes are separated on center by 1-1/8". The bracket, that's the main body right here, it's gonna measure 2-3/8" by 1", and the mount holes on that is separated, excuse me, the mount holes on that piece right there are gonna be separated by 1-3/4", and that's center on center. That's gonna do it for today's look at the Polar Hardware utility hinge..
Order: RelevanceNewestRating - High to LowRating - Low to High Hinge is ideal for use on large utility, recreational, or emergency vehicles. Sturdy steel construction with chrome-plated finish. Corrosion-resistant stainless steel pin. Do you have a question about this Enclosed Trailer Part? Highest quality enclosed trailer parts for the best price. Most detailed, accurate enclosed trailer part information available. The super quick response is very much appreciated!! !